New York City is home to all kinds of innovative restaurants, bars, and alternative venues, but some of the wildest food items travelers will find in New York are the desserts. From unusual spins on traditional fare like cookies and ice cream to inventive desserts like the crossbreed ‘cronut’, these ten decadent desserts are sure to delight. This SoHo-based burger joint (with another location in the Meatpacking District) has lines out the door for their milkshakes, which are not for the faint of heart. Black Tap Burgers and Beer offers a dozen varieties of thick shakes, like the ‘Sour Power’ and the ‘Cotton Candy’, which are quite literally bursting with indulgent sweets. Half the fun of these milkshakes is figuring out how to eat them. Be sure to get there early to minimize your wait in line. Ample Hills Creamery is known for unique ice cream flavors that range from simple sorbets to outrageous blends like ‘The Munchies’, which mixes fruity pebbles, pretzels, and potato chips. They also have ice cream sandwiches made with your favorite black and white cookies, and special flavors for each of their Brooklyn locations. The Gowanus Ample Hills features a wild chocolate mix called ‘It Came from Gowanus’, which you can eat out of a chocolate chip waffle or pretzel cone. ChikaLicious Dessert Bar is an intimate, dessert-only joint with a rotating daily menu. Only 20 guests can dine at a time in the restaurant’s quaint East Village space, as they watch their desserts prepared, plated, and served. 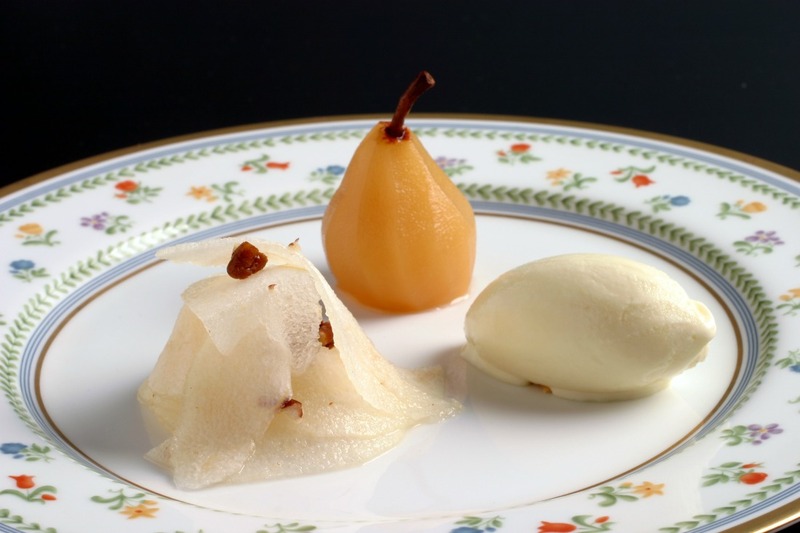 Their menu changes, but features a range of high-end desserts like brown sugar panna cotta or vanilla sorbet on poached rhubarb. What is truly unique about ChikaLicious, however, is the prix-fixe, three-course dessert with optional wine pairing. Guests select an amuse, a dessert, and assorted petites fours for a delectable, dessert-centered dining experience. Wowfulls are ‘authentic 1950s style Hong Kong egg waffles’ with a twist. Wowfulls are eye-catching and seemingly gravity-defying ice cream sundaes that break with the traditional waffle cone and consist of a puffy waffle in a cup, stuffed with ice cream, chopsticks, and whatever toppings you can think of. You can visit the Wowfulls location in Williamsburg, or head down to Prospect Park’s Sunday Smorgasburg this summer to try out these textural treats. 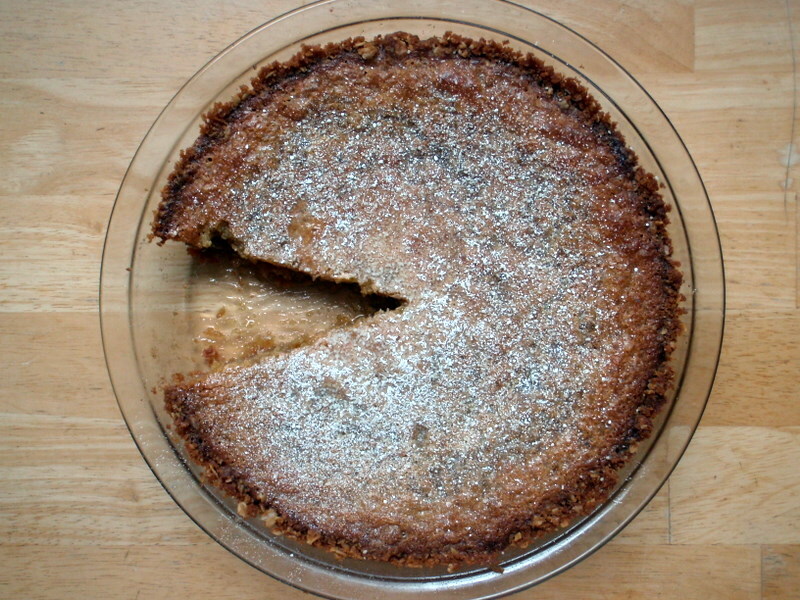 Milk Bar has put some new spins on several classic desserts. From their ‘Crack Pie’, which is as addictive as it sounds, to their cereal milk ice cream, boozy milkshakes, and bite-size truffles, their desserts are as inventive as they are delicious. They also have a cookbook for you to attempt some of their recipes at home. One of their funkier desserts is their birthday cake, which boasts vanilla rainbow cake, layered with rainbow crumble. With multiple locations throughout the city, you can get a serious dessert fix wherever you are. Originally a single food truck, Big Gay Ice Cream Shop has expanded to two Lower Manhattan stores to serve its soft-serve treats year-round. Even their standard, the ‘Salty Pimp’, takes traditional soft serve and makes it twice as delicious. They feature shakes and seasonal treats as well as rotating special flavors. 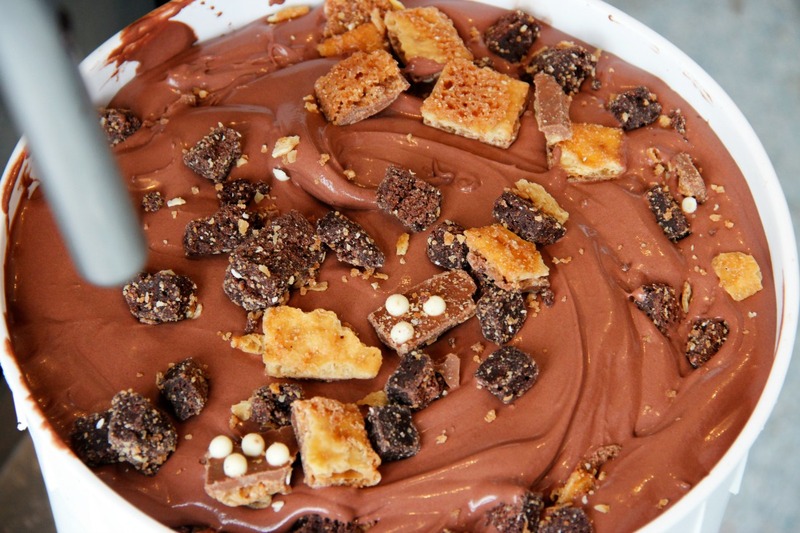 Their wildest staples include the ‘Rocky Road House’, which far exceeds the confines of an ice cream cone, and the ‘Monday Sundae’, which is loaded with whipped cream and Nutella. It used to be served exclusively on Mondays (hence the name), but was too popular to be limited to one day a week. 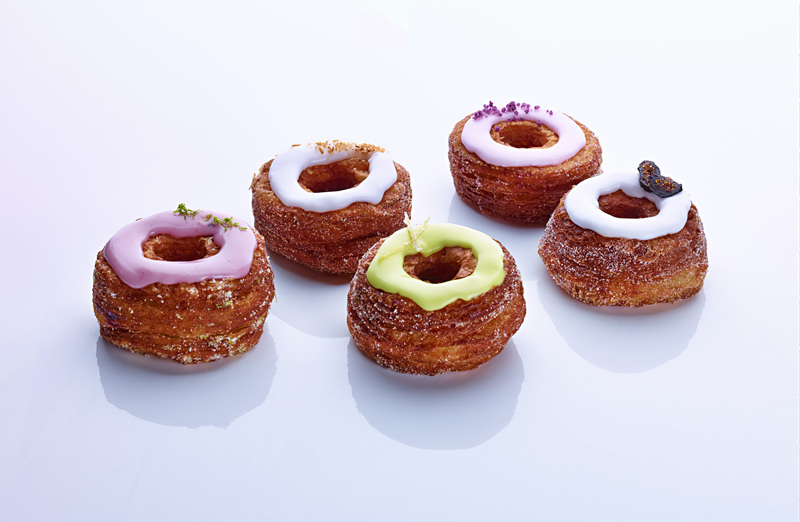 Dominique Ansel Bakery is the home of the ‘cronut’: a croissant-donut hybrid. The flaky pastry can be pre-ordered for parties, or you can risk the wait in line to get one of these world-renowned treats. If you do make it through the wait, don’t forget to pick up some of the other delightful French pastries, crafted by expert baker Dominique Ansel. Schmackary’s is home to some unforgettable cookies. 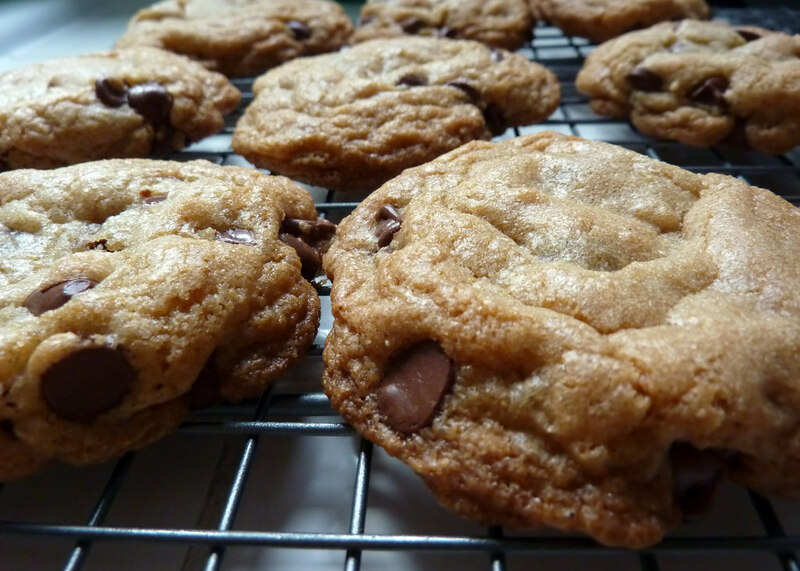 While they do offer a tasty classic chocolate chip, their innovative blend of flavors like caramel apple crisp, green tea, and carrot cake make Schmackary’s cookies an experience, and not just a dessert. Their colorful concoctions are fun to eat and taste absolutely divine. Doughnut Plant has the donut spectrum covered from cake donuts to yeast donuts, round to square, and cream-filled to fruit-flavored. 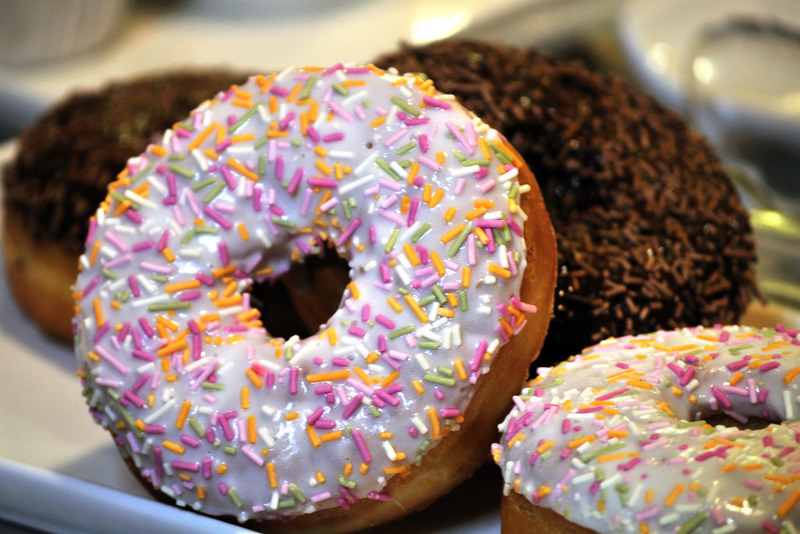 Their menu offers enough flavors and textures to satisfy any donut enthusiast. Their filled donuts, which are square, range from the traditional cream-filled to peanut butter and jam. On the wilder side, their iconic ‘Brooklyn Blackout’ is an all-chocolate cake donut, or you can try out a strawberry and cream. Your best bet is to pick up an assortment and share with friends (or not). Best-known for their enormous sundaes, sweets, and frozen treats, Serendipity 3 also features one of the wildest desserts in New York City: the ‘Golden Opulence Sundae’. It requires you to order it 48 hours in advance and costs $1,000. Their menu offers a number of less expensive desserts, all of which are certainly worth a try, but the Guinness World Record-holding Golden Opulence is definitely a once-in-a-lifetime experience.